Developed for TBLeague bodies. Each joint is designed to move freely and consistently with 90% accuracy. Petite sweet in 1/12 scale (14.8cm), one that neatly nestles in your hand. Scale: 1/12 Fully articulated. Trending at C $58.20eBay determines this price through a machine-learned model of the product's sale prices within the last 90 days. Scale: 1/35 Size is about Long：45CM High：14CM. Color:as picture. Product Details: Animal Model 1. The size fit for phicen ,not for real person! item includes:a doll necklace. not for real person! General Information Brand: Joy Toy Does not ship to Gibraltar,Peru,Bolivia,Ecuador,Czech Republic, Slovenia,The United Arab Emirates,Romanian,Serbia,Colombia, Chile,EI Salvador, South Africa, etc and other remote areas. What is a Pre-Order? It is an item that has not been released yet. We allow you to pre-book this item and we will ship when it has been released by the manufacturer within 30 days Cancellation of Pre-Orders. Note: This item is a 1/6 scale toy only, it can't shoot! It it unassembled and you need to assemble it by yourself. The box does not make sound which is common on these after all these years, but i understand that they can be fixed. Overall, it is a very collectible set in a very nice collectible condition. Target age: 10 years or more. Number of bullets: 17. Total length: 206 mm. Japanese 100% Authentic! But overall this is a very good lot with a lot of the accessories that are really hard to find. With LED, light effect accessories for pre-order as bouties. Scale: 1/6. Accurate 1/6 scale, 21cm long. Without LED, does not have effect accessories. Version A Version B. This would make an excellent addition to any collection or a special gift. Before order the goods, I hope you can know that It is the loose toy (have never been played). We will use high quality service for you. We will compensate for your loss. If because our mistakes or we produce misunderstanding in trading. We will give you a satisfactory reply. We will give you a reply 24 hours. Scale: 1/6. Neck: Could match head sculpts with standard neck adaptors. The writs connector has been enhanced and is stronger then previous versions. 3 connectors for the neck and head sculpt. Movability: Highly poselable, around 30 ariticalations around whole body. Note: this is 6pcs one set. Only Toy, Not Real. 1/6 Scale. MMS is Complete as far as I know. It does include the blueprints and a list from GI Joe. Ice viper is missing one knife. On the first cockpit plastic has very small tab missing but stays in place with no issue. 1 × M35 super flexible male seamless body3 pairs × interchangeable hands. 2 pcs × Male genitalia. Note: Does not include head carving! New,loose,Random pick 200 Pcs g u n / s w o r d for 3.75" gi joe;. 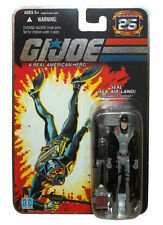 Great gift & collection forgi joe fans ! Band / Manufacturer Material: Made from high quality PVC;. Iapologize for any inconvenience this may cause, and appreciate your assistance in helping us do better. Condition: New and Sealed, never opened. Left hand grip missing. Check out the super-sized pics for a complete look. Vintage GI Joe Mainframe Special Mission Brazil 1986 Near. Condition is Used. Shipped with USPS Priority Mail. 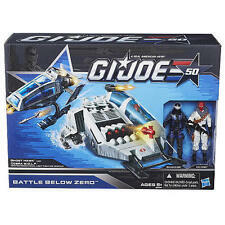 Great gift & collection for gi joe fans ! accessory is new and loose ;. Condition: Used, loose, Random pick 20 Pcs Weapon /gun/accessory ;. Random pick 20 pcs gun/or weapon/ or sword;. RARE!! GI JOE BBI ELITE FORCE 1/18 SCALE Mi-24 Hind Helicopter New in sealed Bx! Action figures have long been a staple of children's toys as well as collector's items. These figures are usually moveable and poseable, making them great for displaying and for play. Military action figures have been a favourite toy for generations as they display the heroism and dedication that soldiers have. What types of action figures are available? G.I. Joe Action Figures: These iconic action figures have been a favourite for children for many years. In fact, they are also a well-known collector's item, especially if they are an anniversary edition or are still in the original packaging. G.I. 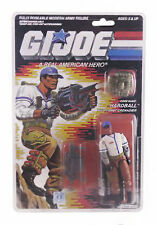 Joe figures often come with accessories like boots, guns, holsters, and helmets. You can also findadditional items for them such as military vehicles or extra artillery. Other Military Action Figures: Samuri, German, and British soldiers are all represented in this category as well as classic green army men with or without parachutes. Pokemon Action Figures: Ash Ketchum, Pikachu, Mewtwo, Greninja and your other favourite Pokemon characters come to life with these colourful figures. They feature poseable arms, legs, hips, elbows, knees, and heads. These figures are true to character. For instance, you will find Ash with a Pokeball in one hand, a personal game player in another and his signature hat on his head. He is a 5-inch figure with 13 points of articulation. Grenenja is 6-inches tall and has 16 points of articulation. Mewtwo is ready for battle at 6-inches tall and with 14 points of articulation. True Heros Action Figures: Featuring both men and women as military personnel, firefighters, and police officers, this set of 12-inch figures provides hours of play for children of various ages. You can also purchase tactile gear, artillery, helicopters, airplanes, emergency vehicles, cars, ships, submarines, amphibious vehicles, missile launchers, hovercraft, and other military vehicles. How do you store your action figures? Storage of your action figures should be based on your intent. If you intend to use them solely as collector items, leave them in their original packaging if possible. This will help preserve them. You should also keep them out of direct sunlight, especially if you intend to display them. 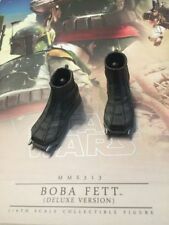 If your action figures are used simply as toys, do not get them wet. You may also want to organize them by type or size.